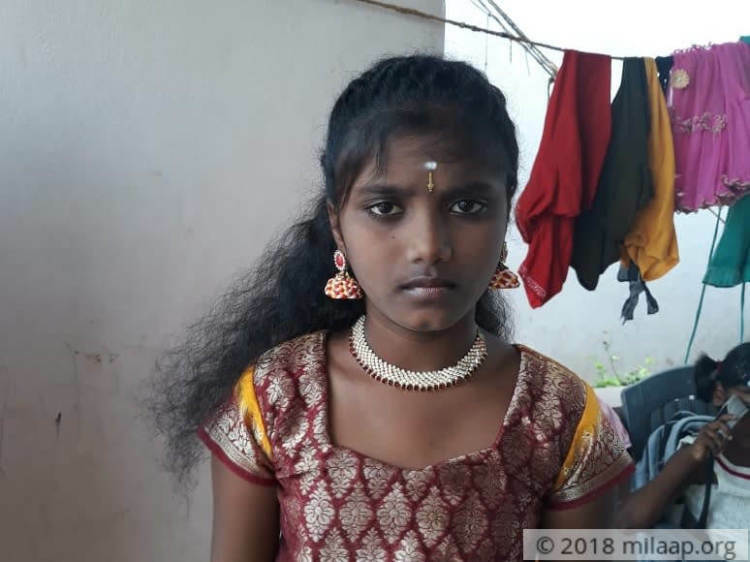 Just nine days ago, young Vani bought her new dress for Diwali and as soon as she got home, she neatly placed it on the chair beside her bed. She was counting down to her most favourite festival of the year – the thought of the lights, sweets and all the games she and her three younger siblings would play made her feel happy. However, fate dealt her a cruel hand. 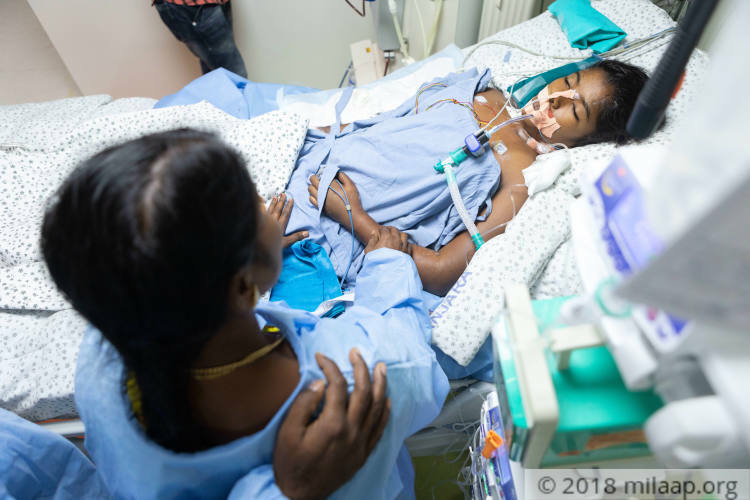 As the rest of her neighbourhood now celebrates the festival of lights, Vani lies motionless in the intensive care unit, fighting for her life. 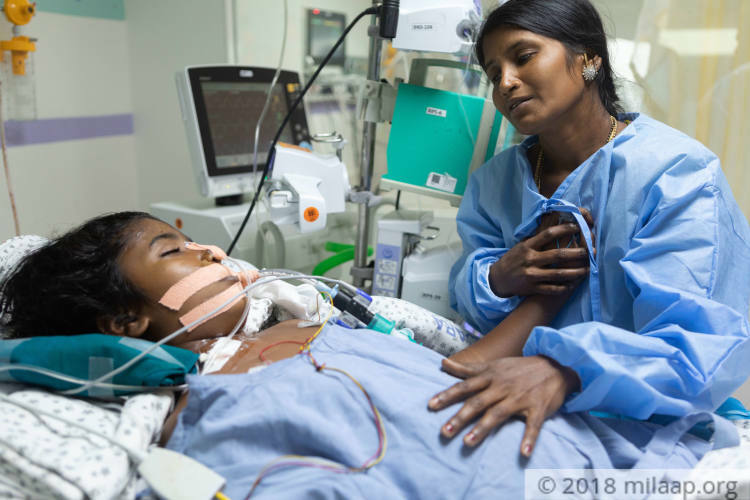 Vani’s vital organs are failing and there’s nothing her helpless parents, Sammakka and Santosh, can do but pray that their daughter wakes up. 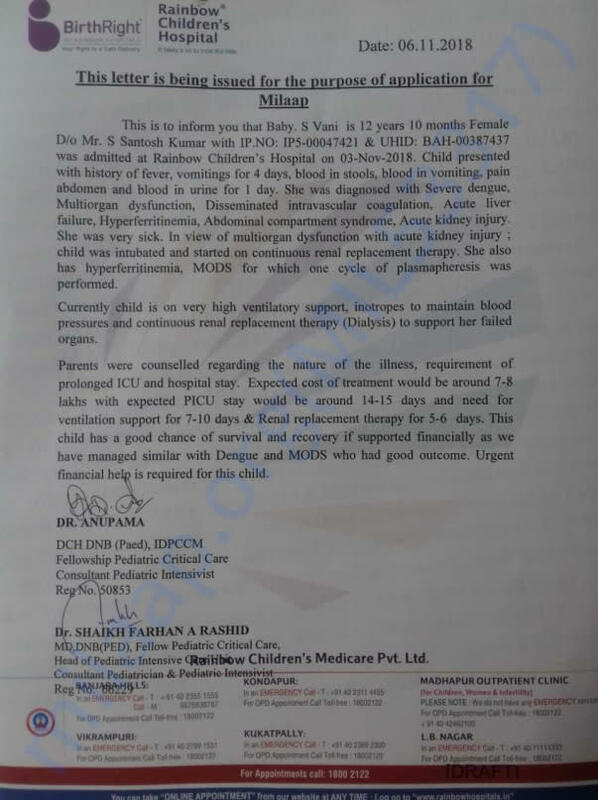 They’re down to their last rupee, but only further stay in the ICU can save her life. 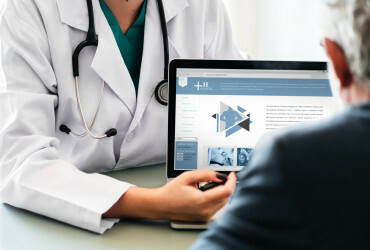 What started as a mild fever and pain in her stomach eight days ago, soon turned out to be a grave disease. In just a day, her condition deteriorated so much that she started vomiting blood. Vani was rushed to a hospital in Hyderabad in an ambulance, and all the way, she held her mother’s hand tight as she cried in pain. 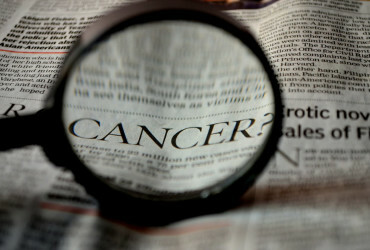 Vani was diagnosed with severe dengue and multiorgan dysfunction. Her liver is dangerously enlarged, both her kidneys have failed, her abdomen is bloated, and she can’t breathe on her own. 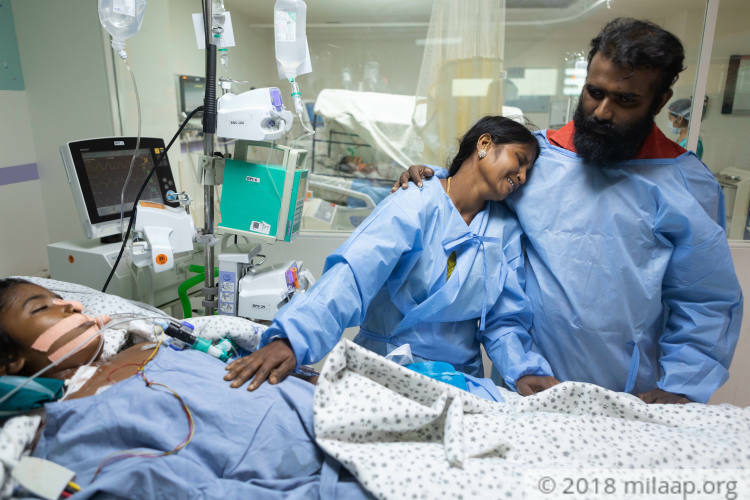 Vani is now on ventilator support and on dialysis for her failing organs. She has been in the ICU for the past 5 days and needs to stay for at least 15 days to survive. Sammakka and Santosh have lost count of what time of the day it is. 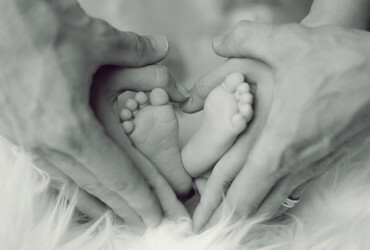 Every minute is spent in a desperate attempt to save their once lively and active child. When Vani needed blood, Santosh begged everyone in the hospital to donate. They have fought relentlessly to try and get her treated, but in these 5 days, they’ve used all their savings and exhausted all their resources. Sammakka and Santosh are devastated. Santosh works in a small ayurvedic shop in his hometown Warangal, Telangana. His income isn’t enough to continue the only treatment that can save Vani. 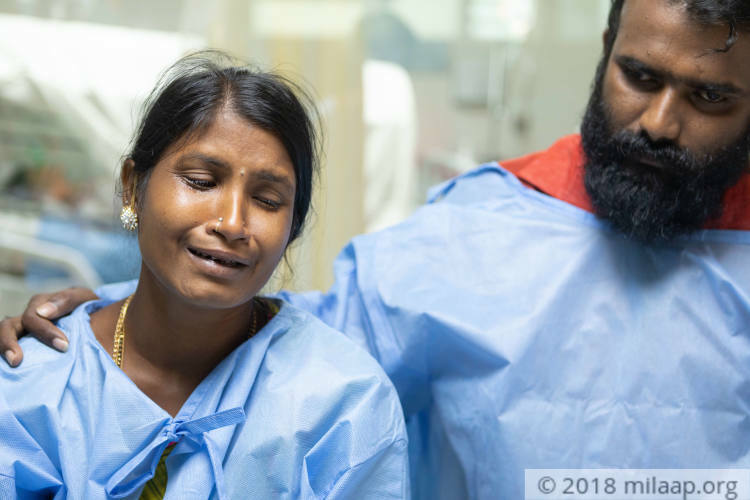 Sammakka and Santosh need your help to save their daughter’s life. Vani needs to stay in the ICU for 15 days to survive. Her vital organs are failing and her only chance to make its continued intensive medical care. Her parents have exhausted all their resources to start her treatment, and are now severely falling short. Vani, once a bright and cheerful young girl, is now fighting for every breath. Vani can only survive with your help. Your support will save Vani’s life.